It seems like light-years ago now, but back in the 1970s and 1980s, DUI laws were rather weak and sporadically enforced, and in fact, it wasn’t uncommon for police officers to release intoxicated motorists if they promised to drive straight home. Although we now live in a world of strict laws, ignition interlock devices, and roadside checkpoints, alcohol is still a factor in about a third of the fatal car accidents in Florida. How do victims prove liability in these cases, and who is responsible for damages? To convict defendants of DUI, prosecutors must prove intoxication beyond any reasonable doubt, which essentially means that the evidence must be so overwhelming that there is no other possible interpretation other than guilt. But to prove liability in civil court, plaintiffs must only prove impairment by a preponderance of the evidence (more likely than not), and this difference is very, very significant. While this evidence basically just lays a foundation in criminal court, it is evidence of impairment in civil court, since impairment usually begins at the first drink. Many times, the evidence goes well beyond a suggestion of impairment. If the tortfeasor (negligent driver) was charged with DUI, the negligence per se (negligence “as such”) rule usually kicks in, and the judge will declare the tortfeasor to be liable as a matter of law. Essentially, if the tortfeasor violated a safety statute, like DUI, and that violation caused the car accident, the tortfeasor is automatically liable for damages. For victims that suffer serious injuries, these damages include compensation for both economic losses, such as medical bills, and noneconomic losses, such as pain and suffering. Many people argue that dram shop laws and other third party liability theories diminish personal responsibility in car crashes and other negligence cases, which is why a number of states have done away with these laws in recent years. However, these laws serve a very important purpose, which is to hold commercial alcohol providers accountable for the car accidents that they indirectly cause. 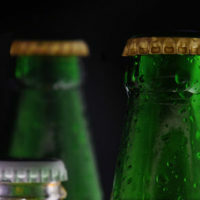 Under 21: It is illegal to sell alcohol to minors, and this illegal sale forms the basis for third party tort liability. Over 21: If the tortfeasor was over 21, the victim must prove that the provider knew the tortfeasor was “habitually addicted” to alcohol. Florida is a pure several liability state, so in most cases, the first party and third party tortfeasor are responsible for their proportional share of the damages. Impaired drivers face civil and criminal liability. For a free consultation with an aggressive personal injury attorney, contact Reed & Reed. From our office in Brandon, Reed & Reed helps clients in Tampa, New Tampa, Plant City, East Hillsborough County and throughout the state of Florida.